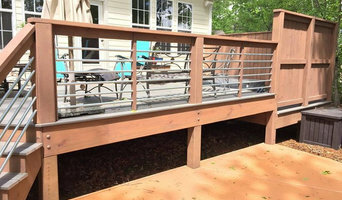 Archadeck has been building exceptional outdoor living spaces in Western North Carolina for over twenty years. 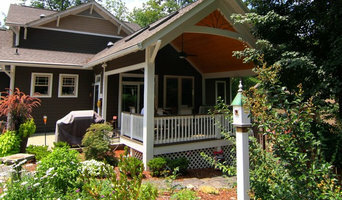 From the latest technology in ultra low maintenance decking, screen porches and sunrooms. With over 18 years of experience, Martindale CC is a located in Yancey county is a locally owned. We pride ourselves in taking any job big or small and treat small jobs as if they were big jobs. 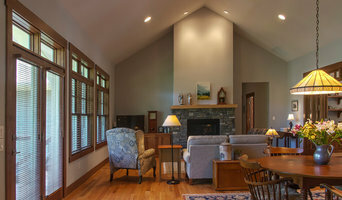 River Birch Builders is owned and operated by Pierce and Griff whom have years of carpentry experience. River Birch Builders offers creative, efficient and quality building in new construction and renovation tailored to your lifestyle. Asheville area builders offering complete construction and general contracting services. Focusing on craftsmanship, in both form and function, while incorporating sustainable and green building practices. We offer new construction services building custom homes, to suit a range of styles from rustic to modern. Providing renovation services to breathe new life into existing homes while customizing them to fit the lifestyles of their residents. Commercial builds to up-fit or build new spaces for growing your business. We provide outstanding construction services and careful design and craftsmanship, with an emphasis on creative collaboration with our clients. We are locally-owned, family-operated construction company providing high-quality craftsmanship with reliable service and communication. 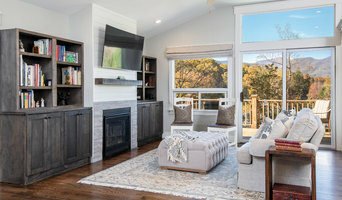 Gabriel Dickinson, owner and General Contractor, brings 10 years of dedicated experience and knowledge, as well as true passion for the construction trade. Gabriel is active at every job from beginning to end ensuring quality in each phase of the project. His keen attention to detail and professional communication style ensure our clients are satisfied, not just with the finished project, but also pleased with the entire process of working with True Path Builders. If you are considering us for General Contracting Services, Please contact us for your new: - Basement Apartment - Additional Dwelling Unit (AUD) - Garage Apartment - Home Addition - Kitchen Remodel - Bath Remodel. Additionally, True Path Builders also offers Sub-Contracting for the following services: - Framing - Siding - Interior Trim and Finish - Custom Cabinetry and Built-Ins Going forward we are no longer able to offer small home repairs or improvements, these generally fall under $5000 and take less than a week to complete. There are exceptions, so please feel free to contact us with the details of your project. Thank you for considering us and keep in touch by following us on facebook and instagram @truepathbuilders!